Stop and stare glamour. Jean Harlow was snapped in this fetching swim suit as she sun-bathed on the edge of her swimming pool during a day off from filming Born to be Kissed. Muriel Evans created a sensation when she appeared in this smart new swim suit at Malibu Beach this week. Chic braided straps pass through slits at the deep sun-back to form a looped belt. Also on Malibu beach, these entrancing Fox lovelies certainly created a big noise in more ways than one. They were at a safe distance you’ll be glad to know when this giant cracker went off. It contained 1000 three inch crackers all connected to a single fuse. What fun ! 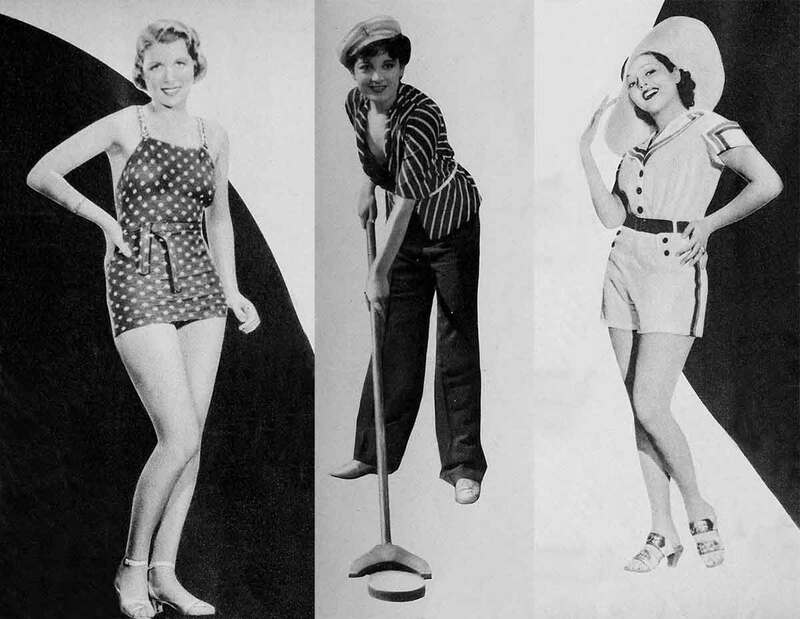 From left: Irene Hervey suggests this snappy swim suit of royal blue jersey. After the swim she wears a blue cape to match ! Phyllis Barry finds time for a game of shuffleboard in this charming sailor costume. Suzanne Kaaren is the center of attention when she wears this costume at the beach. It is of white pique with red and blue stripes. 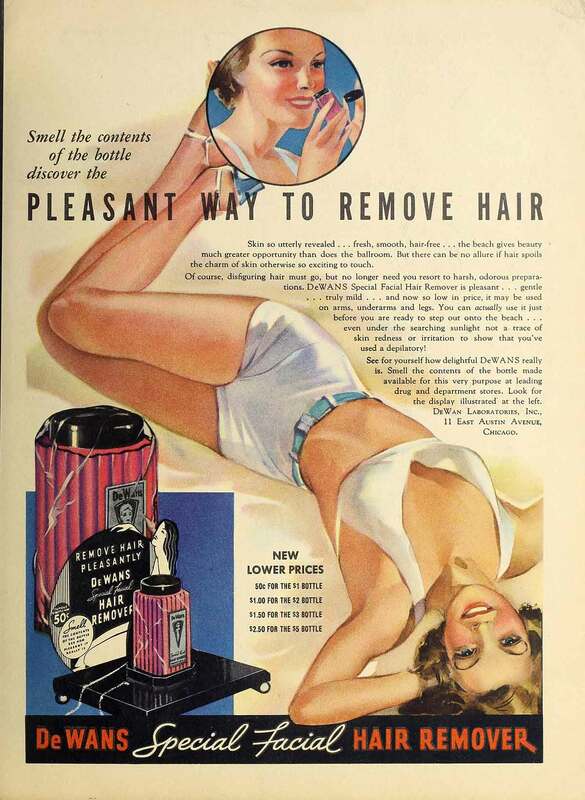 To prepare for the beach in the summer of 1934, you didn’t waste your time with old fashioned razors, instead you used hair removal lotions ! Check out our rare color swimwear fashion display from Hollywood.